Could Skyfall be the best Bond film of all time? but it all worked out in a very EPIC way! Sam Mendes took an interesting approach to Bond; rather than focus solely on the sly MI6 agent, he chose to delve into another prominent character Judy Dench's M. This wasn't done by giving her an in depth origin story or anything of that nature. Instead, Mendes chose to focus on the opposite impacts M had on two MI6 agents: James Bond and the main antagonist of the film Javier Bardem's Raul Silva, whose performance was so good it will have Bond fans mentioning him in the same breath as Goldfinger and Blofeld for years to come. Javier Bardem absolutely stole the film as Silva, a former MI6 agent turned cyber terrorist whose sole purpose in life is to destroy M. What Silva has become is the result of M's past sins which have finally managed to catch up with her; on the other end of the spectrum is Bond, representing M's best intentions. Mendes uses the parallel of the two MI6 agents as the primary driver of the film. best Bond Villains of all time! 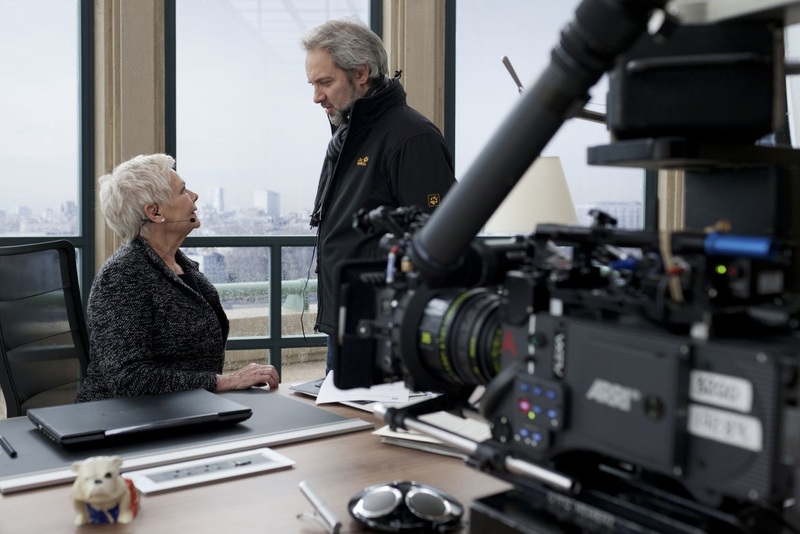 While M is the primary focus of the film, Sam Mendes chose an interesting way to look at James Bond. 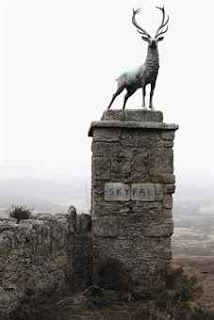 In Skyfall Mendes dared to go somewhere that few Bond directors have: the origin of James Bond. And not the origin of his work as a 00 agent, but rather his childhood. The roots of Bond's childhood are revealed over the course of the movie, playing a major role in the EPIC climatic finale of the film. While M, Bond, and Silva are the primary characters of the film. 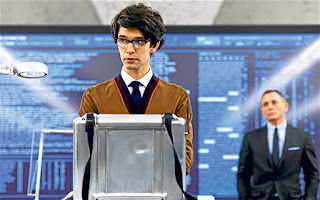 Sam Mendes also took the time to truly establish the surrounding characters that make up the world of James Bond, starting with the excellent choice to cast Ben Whishaw as the truly modern day Q. Whishaw is a lesser known actor who really made his presence known in last year's Cloud Atlas which he was as phenomenal in as he is here as the new Q in Skyfall. His performance really leaves Bond fans anticipating the gadgets he will provide 007 over the next generation of Bond films. Mendes also does an incredible job establishing Naomie Harris's character of Eve and Ralph Fienne's character of Gareth Mallory in the world of Bond, and pays off the relationship they develop with 007 in a big way at the end of the film that is sure to have Bond nuts drinking shaken, not stirred, martinis in celebration. Ben Whishaw makes one great modern day Q! 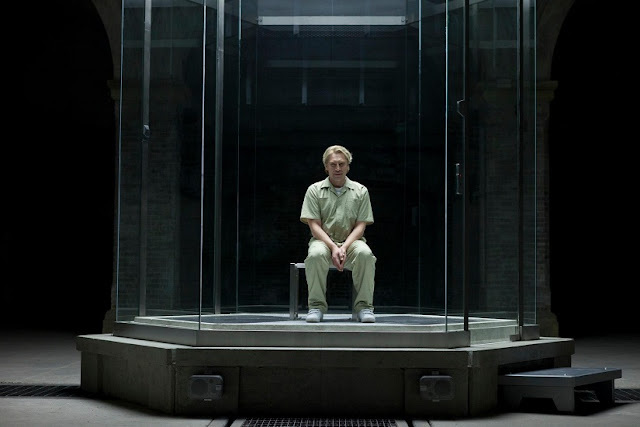 What sets Skyfall apart from other Bond films isn't just the unique way that Mendes chose to set up the film or look at the characters, but rather how the film was shot. Cinematographer Roger Dearkins gave us not only the best shot film of last year, but one of the most beautifully shot films of all time. The lighting in the film was perfect for literally every scene. Dearkins also made perhaps the best use of the silhouette in recent memory, resulting in some very iconic images and scenes, such as the sniper scene and Skyfall showdown. After watching Skyfall, one will truly wonder how Skyfall didn't win best cinematography at the 2012 academy awards, which it was nominated for. When was the last time a silhouette looked this EPIC? In addition to stunning cinematography, Adele's Skyfall theme will go down as maybe the best opening Bond song of all time. Adele's academy award nomination and win for best original song was truly deserved! 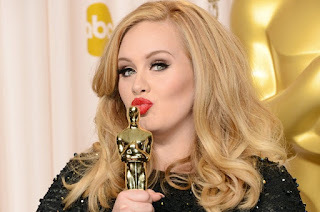 Adele's Oscar for Skyfall was well deserved! Skyfall was one of the best films of 2012, and widely regarded by many fans and critics as the best Bond film of all time. Quite an accomplishment considering James Bond is a 50 year old/23 film franchise. That being said Skyfall wasn't your typical James Bond film filled with tons of womanizing and a slew of new gadgets. Instead Skyfall was the Bond film that truly pushed the franchise into a post modern world and all of the issues and threats within it. I'm not going to go with best Bond movie of all time, but I'll put it in my top 4 along with Goldeneye (personal favorite), You Only Live Twice, and Goldfinger. Love that picture of Adele, too. 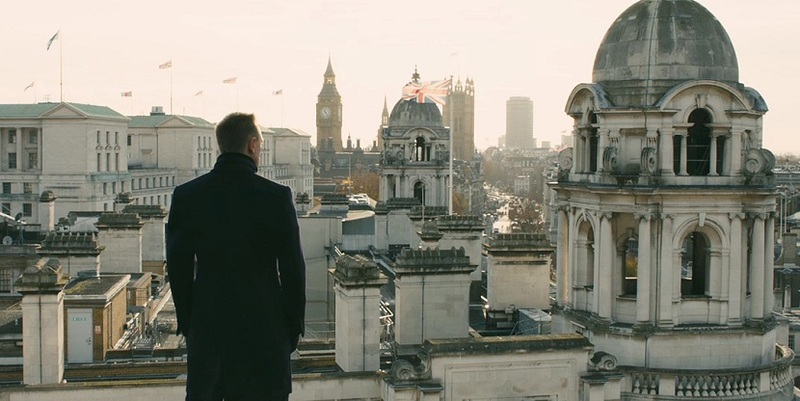 Skyfall was an excellent song and definitely one of the best opening sequences ever. Adele might make a mean Bond girl herself! If you've seen the previous Bond films, you'll notice them; but if this is your first Bond film, good luck picking up on most of the jokes in the movie. Nice review Bradley.